FloraFlex offers innovative irrigation alternatives that can be instantly incorporated into any size of pre-existing greenhouse, farm or hydroponic garden. Save up to 60% of water, nutrients, and time using Floraflex products. 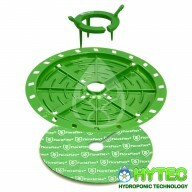 Grow higher yeilding, higher value crops by eliminating algae and many root based problems and diseases. Effortlessly improve your current systems or methods with the best and most efficient ways to distribute water and nutrients evenly to your plants. The FloraFlex Matrix Circulator is part of the Matrix System A patent pending American first of its kind Top Feeding Wicking System that provides the most even way to deliver water and nutrients to your plants. 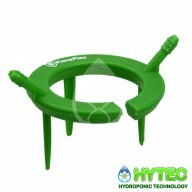 It can be used with pots ranging from 7.5”-18” Diameters. You will need a Matrix un..
FLORAFLEX MATRIX SYSTEM 9" - 10.5"
FloraFlex Matrix 9" - 10.5" is the first American patent pending Top Feeding Wicking System FloraFlex Matrix Systems are truly versatile and compatible with pots ranging from 9" - 10.5" inches. 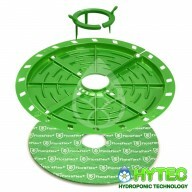 ..
FLORAFLEX MATRIX SYSTEM 10.5" - 12"
FloraFlex Matrix 10.5" - 12" is the first American patent pending Top Feeding Wicking System FloraFlex Matrix Systems are truly versatile and compatible with pots ranging from 10.5" - 12" inches. 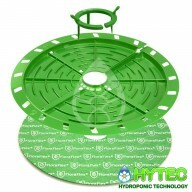 ..
FLORAFLEX MATRIX SYSTEM 12.5" - 14.5"
FloraFlex Matrix 12.5" - 14.5" is the first American patent pending Top Feeding Wicking System FloraFlex Matrix Systems are truly versatile and compatible with pots ranging from 12.5" - 14.5" inches. ..